Every week we’re answering your questions about cooking, preparing, or storing the fruit, veg, and anything else you get from us. 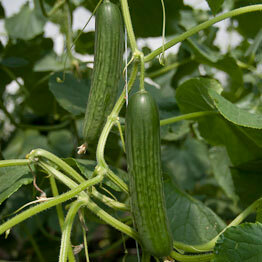 This week Guy answers your questions about courgettes, pointed cabbage and storing your veg. See the original post here. 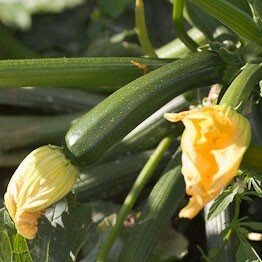 I have quite a few cougettes left and would like some recipes for them. I live alone so recipes that I can portion up and freeze would be good. I am a veggie so no dead animals. Thanks . Jane makes a great salad with tomatoes and courgettes cut into slices lengthways and griddled. See the full recipe here. One more thing; courgettes are best fresh. After a few days in the fridge they may look OK but they rapidly lose flavour. 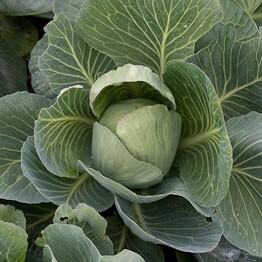 Pointed cabbage! Nearly everything else I have found a way of using, actually one of the reasons for trying a veg box was that I felt I was in a veggie rut, but pointed cabbage…sigh. I have tried some things with it, but I still feel a bit uninspired. Something quick, tasty, and different! a pan with a tight lid. Serve with a knob of butter plus salt and pepper. If a bit more adventurous slice up some garlic and gently fry in a little butter in the pan for a minute before adding the cabbage as before. Stir through some grated parmesan when cooked…yum. We are serving this in the travelling field kitchen at the moment, sometimes adding finely sliced runner beans with the cabbage..
Is it really best to store vegetables in plastic bags in the fridge? I always thought that paper bags were better as this stopped them sweating. I know most of you hate those plastic bags but for leafy veg they are pretty much essential to stop them wilting. They only cause sweating if they get warm (can act as something between a green house and a compost heap) so get them in the fridge and they will be fine. Roots are generally better in paper (especially potatoes to keep them in the dark and onions to keep them dry).